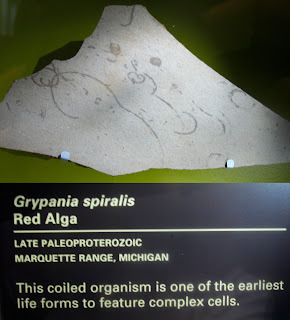 Picture of an extremely old fossil of red alga. This fossil is on display at the Smithsonian Museum of Natural History and is called Grypania spiralis. 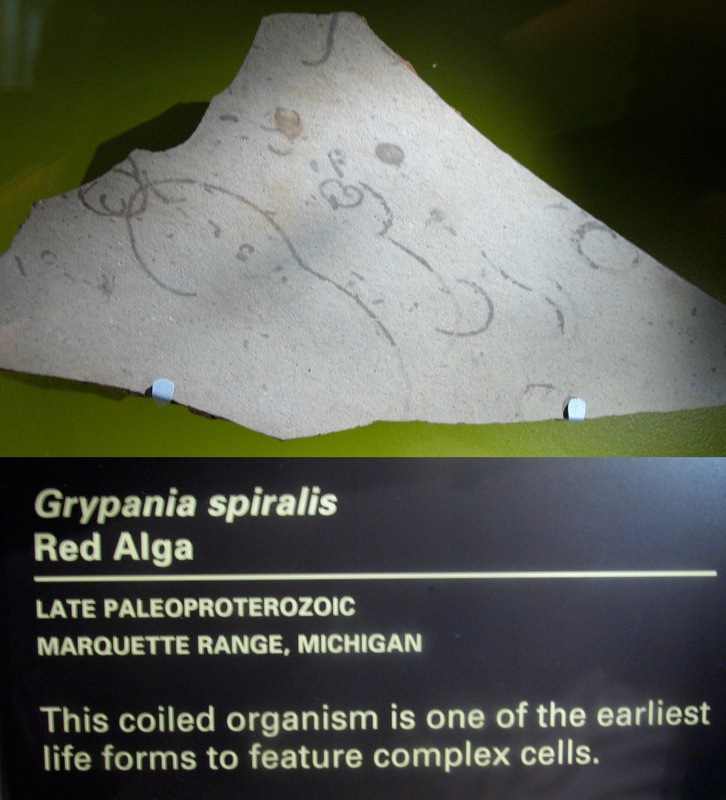 As the placard lists this organism existing in the Late Paleoproterozoic Era and found in the Marquette Range, Michigan. Check out this entry on the FossilPictures blog about a group of specimens that were auctioned. It lists the species as being 2.2 billion years old. The specimens are of the oldest multicellular organism (eukaryotic). You can see from their selling prices in 2009 to be quite valuable. They appear to have come from the Potomac Museum Group.